EDMONTON, AB – Student artists from Edmonton Public Schools and Edmonton Catholic Schools unveiled their art as part of the newest work to be featured in the pARTnership Gallery at the Edmonton Convention Centre on June 5, 2018. Students celebrated the evening with their families by speaking about the importance of art in the education process and hearing from Edmonton musician Ann Vriend. In its ninth year, this annual event is a collaborative partnership between the two Edmonton school districts and Edmonton’s downtown convention centre. The Edmonton Convention Centre opened the pARTnership Gallery in 2010 to further its commitment to public art, student growth and community engagement. Over 450 students have had their work displayed since the program was founded. The pARTnership gallery was expanded this year and now features 97 pieces of student artwork which will be on display for an entire year in the Edmonton Convention Centre’s high traffic corridor, being seen by a half a million visitors. This gallery is also a venue to The Works Art and Design Festival, which runs June 21 to July 3 at various locations throughout the city. “We are so proud of our students and the extraordinary art showcased in this exhibit,” said Terry Harris, Board Chair, Edmonton Catholic Schools. “Each piece of art communicates the creative talent, beauty and emotion to express life’s joys, successes and disappointments. We commend parents and teachers who mentor, inspire and encourage our students to explore and express their God-given talents, each in his or her own special and unique way,” added Harris. 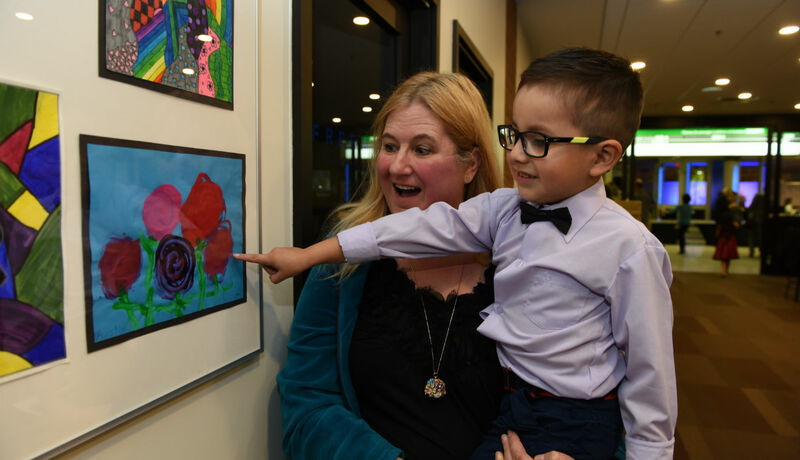 Each year both districts celebrate the unveiling of the artwork with their teachers, principals, family members and trustees at a special reception. For more information on the Edmonton Convention Centre’s local art initiatives, visit https://www.edmontonconventioncentre.com/partnership-gallery-expands/.